I've been very excited for this race as it is my first DL 5k race! Thursday was very busy-a seminar all day, first day of class and then down to Anaheim. I parked at 7:49, ran to the expo, got to bib pick up at 7:54, shirts at 7:57 and merchandise at7:58. I was able to shop and get most of what I wanted! Score however it made for a late night. All of the adrenaline kept me up so I went to the hotel, checked in, unpacked, and prepped for the next morning. I didn't fall asleep until 10 and slept like crap. 5:30 of sleep so was very slow moving in the morning and tried to take a Lyft to the start and that didn't work so I walked. I got in the corrals and tried to move up as much as I could but it was pretty crowded. The pre show was entraining with trivia and after the national anthem we started right on time. I got a shoutout from Carissa for my outfit and it was very crowded so I had to bop and weave more than I would have liked. We headed up the on ramp and down again and then backstage by the team disney building. Chewy was the first character we got to. I got a pic with chewy (10 min wait) and continued on to a crowded course. I definitely went faster than I would have liked but I was trying to get to the next character. We continued through grizzly peak/airfield and out through the side (where the entrance was during Buena vista at construction) and through downtown Disney to the finish. I think my finishing time was around 1:13/1:14 but my running pace was about an 11 min mile. I definitely did some sprinting and lots of weaving. Towards the end was basically wall to wall people walking so I did my best. I definitely got a positive response to my costume which I loved especially from little girls. It was very humid (around 90% when we started) so I was sweating which made my headpiece uncomfortable by the end. ​I really enjoyed this race-more than I thought I would. Next time I do a DL 5k at Tink, I need to get to the corral maybe a bit earlier and also move closer to the front. The wall at the beginning was not good. Wish I could have gotten a pic with R2D2 and C3P0 but I don't regret waiting for BB8 for 20 min. If he is out again, that line will be crazy! Afterwards I went to get breakfast, prepped for the 10k, shower, rolled and napped and headed out to hang out with Carolyn and Marilynn and then expo fun. Did you run the Star Wars 5k? 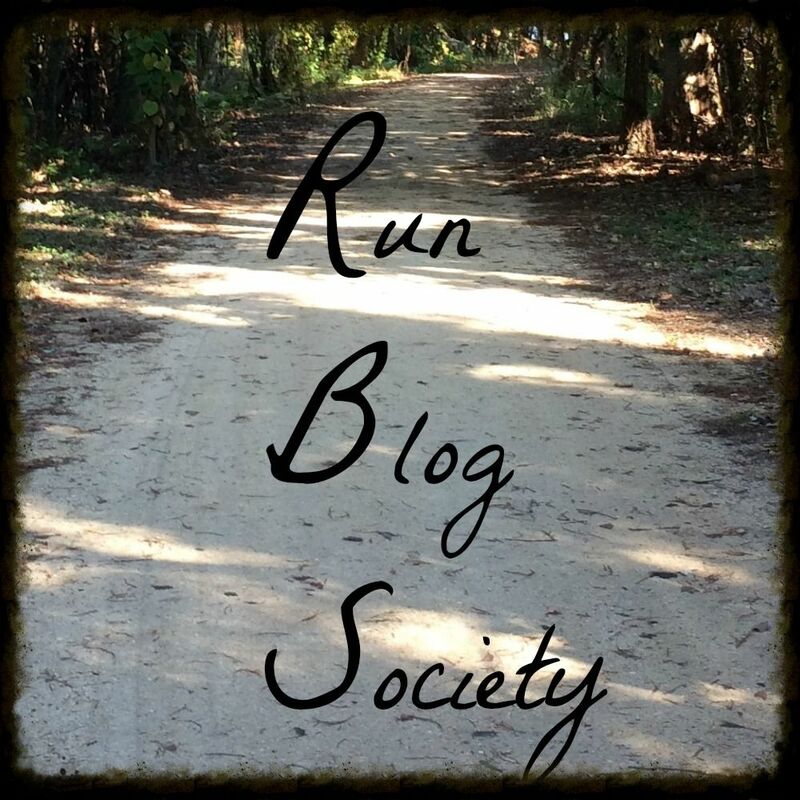 Hey #NERDGIRLSONTHERUN our first blog link up will be next Wednesday, Jan 27th! Share your story with us! Introduce yourself, share a race recap, tell us what you are training for... we want to meet you! Erika from MCM Mama Runs, Marcia from Marcia's Healthy Slice and Patty from No-Guilt Life.This week's topic is Expos. ​I've already written before about Expos and how I feel about them. Basically I like them and think of you go in with a plan, you can get a lot of good deals. This past weekend I ran the Disneyland Star Wars weekend and definitely spent some time at the expo! I had to go to the Expo twice. The first time I went, it was super quick. Basically I parked my car, ran to the Expo, got my bibs and shirts and ran into official merchandise right before it closed. I definitely rushed through and didn't look fully at all of the merchandise. I even bought a size medium coast to coast shirt! I definitely wouldn't recommend doing that but for this race, I didn't have a choice. I went back the next day to buy the Ariel New Balance shoes, get KT taped on my ankle (which I had never done before and it worked well), and shopped more in merchandise. They didn't have the wine glass and in person I didn't like the Christmas ornament so I passed. We got the rebel alliance drink which was delicious. I love the rundisney cups! Afterwards I went to Fit2Run and stocked up on fuel as I was running low. While there I chatted with some guys in line and learned they do plan on re opening their store in LA very soon! Woo hoo! After all of that, we were basically done and went to drop our stuff off at the car and headed to grab lunch in the park. Overall, I thought the Star Wars half marathon weekend expo had a lot to offer. I went at closing the first day and opening the next day and it was not too crowded so if you can do either of those, I definitely recommend that. What do you think of Expos? I did great with carbloading. I never felt lacking in my runs and also never felt overly full. One thing that is not working is my pre race breakfast. I'm so bored with my oatmeal that I don't want to eat it! I bought some bagels to try out this weekend to see how they work and sit on my stomach. Those will be easy to travel with for sure! I rocked the sleep this week! I made it a habit to get ready for bed at 10 and was able to sleep 8 hours a night. The only night I did not get at least 7 hours was the night before the 5k mainly because I got to Anaheim so late. Those 5 hours and 30 min of sleep were rough but because I had slept so well the whole week before,I felt fine while running. I slept 7 hours the night before the 10k and half and woke up feeling amazing. The new goal for DL races is in the room by 7 and bed by 8. Back to the grind! I'm all set for my classes and I'm furiously working to get as ahead as possible-I don't want to be doing class work while in WDW for Princess and Dark Side. I have my first dissertation meeting on Sunday so we will see how that goes! I'm trying to get ahead on my class so I can focus more on my dissertation. May will be here before we know it and so will my final proposal for my dissertation, final project class and final paper! All due the weekend before and after Tink! I ran the LA Turkey Trot on Thanksgiving. I opted to do both the 5k and 10k for the added challenge, to get in more miles and also for the training towards the New Years race and LA Marathon. I reviewed my recap from last year and came up with my plan for when to leave. Weds before was exciting as I bought my car! I was able to take it home straight from work and go grocery shopping and then prep for thanksgiving-including food for dinner, my dinner and everything else. I relaxed with Star Wars episode 4 and 2 drinks to celebrate my car (don't worry, they weren't strong)-a French 75 and Moscow mule. I feel asleep on the couch, got up to pee at 145 and actually decided to shop Target.com and got what I wanted and then got into bed. I got up at 5:30 and was out of the door at 6:00. I caught the train around 6:20. I was able to eat my breakfast on the train and also drink my tea. When I switched to the red line, I ate my banana. I got off the train at 7:04 and was down at the start area by 7:10 picking up my bib. I got all situated, and waited in line for the restroom.one thing I loved is they gave out boxers instead of shirts. They give out cotton shirts so I don't wear them often so boxers are definitely fun. I finished at 7:40 and thought I had time for bag check. Well I was wrong. It was taking forever for bag check! It turns out people were doing bag check without bags! Trying to safety pin stuff inside of their boxers. They had no extra bags so it was a cluster. Eventually I got to the front as they were singing the national anthem and I tried to push as far forward as I could. The 5k starts 30 min before the 10k so I needed to get as close to sub 30 as I could. Well we started on time and off we went. Well not really as I ended up behind walkers and had to bop and weave. My legs felt just okay so I knew this may not be my day. Also, it was finally cold! It was 43 when I started and I haven't run in that cold of weather in a long time. We did some hills and looped around to the big hill next to the Walt Disney concert hall and I walked the whole thing. We then did an out and back and went back down that same hill (water stop is there), turned again and went down another hill. and over to spring street. Up until this point, my watch was pretty on point with the mile markers but as we headed to State St (fun fact: it was considered the Wall St of the west coast. Many movies are shot on it because it does look like NYC) I noticed we past the 4 mile marker for the 10k. Well we headed down and then did an out and back towards the finish. I noticed we were going further out than last year and I noticed I was getting closer to 3 miles but the mile marker was nowhere in sight. Uh oh-the course is long! There was no way I would go sub 30. I continued on, passed the mile 3 and eventually finished in 3.44 (WAY long!) in with a. I went back to check and the course last year was 3.2 but I assumed it from weaving but maybe not. I got some water, my medal and regrouped before heading off to start the 10k. With the course being long and me trying to run on feel, I ended up pushing a bit too hard. I also didn't pack my Powerade as last year they had Gatorade-no electrolyte this year and I knew for runs longer than 6, my body prefers to have it. I decided to try my best. I started slow as we went up and down the same hills as the 5k and I knew they can be challenging. On the big hill by the Walt Disney concert hall, a lady was going up backwards in her wheelchair. Rock on! Instead of heading back towards state st, we do 3 more out and backs towards the Dorothy chandler Pavillion, below the buildings and back up to the new broad museum before heading back towards the start and on state st. Since i started later than I wanted, I knew I would have to bop and weave and when we were under the buildings, I kept getting trapped. As we headed back up I got to spread out a bit. I took water (basically all the same spot but since we pass t 3 times, it works) and continued on the downhill. I had been holding back and finally opened up going into state st. My goal was to drop my average to sub 10 (at one point it was 11 with the hills) and I knew I could get there if I pushed the last two miles. My downhill into state st was 8:57! Woohoo. I Continued down state st and decided to map what happened in the 5k since I remember last year we went farther in the 10k. Well imagine my surprise when we turned around in the same spot. Uh oh-we are going to be short!! We did the turn around which was a water stop and I decided to see how fast I could take it. We finished in 5.7 (half a mile short) in 56:55. I got my bag and went to sit down and eat some food (I pushed hard at the end and felt a bit dizzy) and clean up so I could head home. I walked back to the train and got home in less than hour (including a Black Friday stop at cvs). Overall, I like the idea of running 9.3 before doing thanksgiving and also getting my long run out of the way for the weekend since it's always Usc's final game at home. However it was a bit disorganized for my liking. When I signed up they said there would be 2 package pickups (week before and day before) but they cut the day before without warning so I had to do day of pick-up, which I really don't like doing. Depending on price, I may do it next year. I may also branch out and try the Burbank Turkey Trot as they also have a 5k and 10k but I don't think you can run both. However they do have a race division that starts first so I probably wouldn't need to bop and weave. and more importantly, this ended my epic #RaceNovember with race 7 and 8! crazy crazy!! Anyone else run a turkey trot? How did your race go? Well this race was definitely interesting! We have been trying to do a fun run for about 3 years (I know this because of Timehop on Facebook). This race popped up and we decided to do it! We couldn't do package pickup so we decided to just do it before the race and they charged us 5 dollars for the opportunity-they definitely made good money off of that! Since we figured we would want to shower after, we decided to make a weekend out of it. I went over to Mallorys on Friday night, we ran errands to buy last minute items (including shorts for me because I FORGOT TO PACK THEM! ), had lunch and then headed down to Anaheim. We got a hotel for Saturday night so we went to settle in, grab a quick lunch at Tortilla Jos and then headed to Irvine after stopping for a Starbucks kick. Package pickup started at 3, pre party at 430 and race at 530. We got there at 330 to see tape set up in out and back in the parking lot. Yeah this is not going to go as planned. we did a potty break and learned the corrals would open "soon" so we went back to the pre-party and listened to a rapper who forgot the lyrics and had to start over. At that point, we saw people getting in corrals so headed over. Basically it was a line that they randomly divided into groups. We ended up in the second group. We started about 15 min after the official start time without much of an idea what was going on because the speaker wasn't working. When we got to the front, they mentioned runners to the left and walkers to the right and no one moved. Yup, that is not going to work. When we got the countdown we tried our best but it was hard as we were heading down a hill back towards to the amphitheater and NO lights. I mean nothing. There is sand and rocks and a hill and I knew this was insanely dangerous and regretted every decision I had to run this. Out came my cell phone for the light and no one tripped around us (basically a miracle!) and we wandered around the amphitheater. As we left we hit the first color zone and put our sunglasses on and basically had a teenager throw a handful of the color straight at my skirt. Okay we will try again the next time. We hit another color Zone as we came to the parking lot and same thing. So now I just have crazy amounts of color on both sides of my skirt-hopefully it will come out. We started the endless up and down the parking lot. We noticed that there was still half the people left in the chute and also crazy traffic of people still parking and picking up their bibs. Very interesting. The only thing that happens in the parking lot was 2 small water stops (which we needed to get the color out of our throats) and another color zone where I actually got color on my shirt-woo-hoo!. Towards the end, there were black lights set up so we got a picture. we finished the race and there was still at least 25% of people that did not even start. The end was basically just people standing by the finish lines taking pictures of themselves all lit up. According to Mallorys Nike+ app, we ran about 2.5 miles. We got our color packet, I found water under a table-mind you the parking lot is dark with no lights-and we headed to the stage where the after party had not started yet. We threw some color but we're over it quickly. We handed our color to some teens that we're so excited and headed to the car. We went into cleanup mode and with plastic bags, baby wipes and towels. In all honesty, we didn't get that much stuff in our hair or on us. The thing that got the most color was my skirt and there were thick patches where the color had been thrown. We headed back to the hotel to shower and get ready and headed to Disneyland for some nighttime fun! Overall, I'm glad we did this but would not do it again. The race was not organized well and not to mention the course was dangerous with no light. I would recommend them to put black lights everywhere so you can really see everyone glow and add in more color zones where the people aren't at close range so you can get color spread out. I don't plan on doing Blacklight Run but may consider doing the Color Run to try it during the day. Have you ever done a Color Run? What were your thoughts on it ? Erika from MCM Mama Runs, Marcia from Marcia's Healthy Slice and Patty from No-Guilt Life.This week's topic is Race Dreams. Sleep is one of my priorities: the more sleep I get, the more chance I have to dream. And boy do I get crazy dreams around race days. I have never (knock on wood and forever stay this way!) have had trouble sleeping before a race, the one time I did was because I had tea in the afternoon and it kept me up-no bueno. How about you? Do you often dream about your runs and races the nights before? I did much better on eating and basically was able to have leftovers which I will continue for this week! It's so nice to have dinner waiting when I get home. This week I'm going to eat normal and start carbloading on weds and thurs through Sunday-gotta fuel those 3 runs. I rocked the sleep this week! I made it a habit to get ready for bed at 10 and was able to sleep 8 hours a night. I'm feeling great! My goal is to keep this up to help with the lack of sleep I will have before the races. The 5k will be rough as I have a conference and class before and probably won't get to Anaheim until 8 or so not including prepping and getting to sleep for that 4am wake up. Tuesday: Recovery Yoga-too sore to run! Back to the grind! I got a lot done at work and today is the first day of the semester so the office will be busy all day. I'm ahead on my reading which is nice but want my syllabi to get even more ahead. Today is my first dissertation meeting-YAYAY! Hi all! Linkup Friday!! Thanks to our amazing hostesses: the DC Trifecta Bloggers (Courtney from Eat Pray Run DC, Mar from Mar on the Run, and Cynthia from You Signed Up For What?!). This week's topic is Food and Drink. I watched the Season Premiere of The Biggest Loser earlier this week and am now watching the new show My Diet is Better Than Yours and I am really liking it. Basically, the contestants picked a diet guru to be their guide. They go back home to work out and eat healthy. They met up again for a weigh-in and can switch gurus if they want. I like the idea that they are showcasing diets that don't just restrict eating and they also have to balance getting healthy with their real life. As each person weighs in, they announce a good statistics that happened (smaller waist, lower blood pressure, etc) and I think it makes weight loss look more attainable (unlike the Biggest Loser that can make it seem like 20 lb weight loss in a week is normal). I am back to being low carb, high fat and lots of veggies and fruits. I need to cut out the crap and and just eat real food. The one thing about racing a lot as I did in 2015 is that I needed to carbload to fuel my runs. It has worked for my body to be low carb and then just carbload right before a race, it gives me enough energy to get through it all. However, when I was eating more sugar carbs through the holiday, the carbload made me feel worse! I am hoping sticking to low carb and then high carb will help improve my runs. I am making it a habit to get into bed by 10:15 PM and try and get 8 hours of sleep. The struggle has been when I get up at 6:15 it is so dark that I fall back asleep. I am going to work on getting up on time and not going back to sleep. I love sweets, wine and more. I need be really mindful of when I indulge as a daily indulgence is not helpful. What changes are you making this new year?